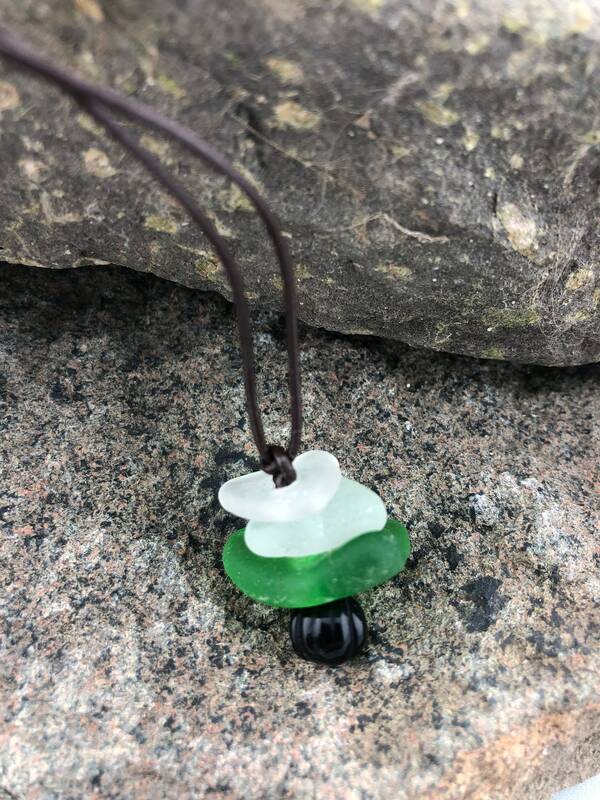 Hand gathered beach glass from the shores of Lake Superior. 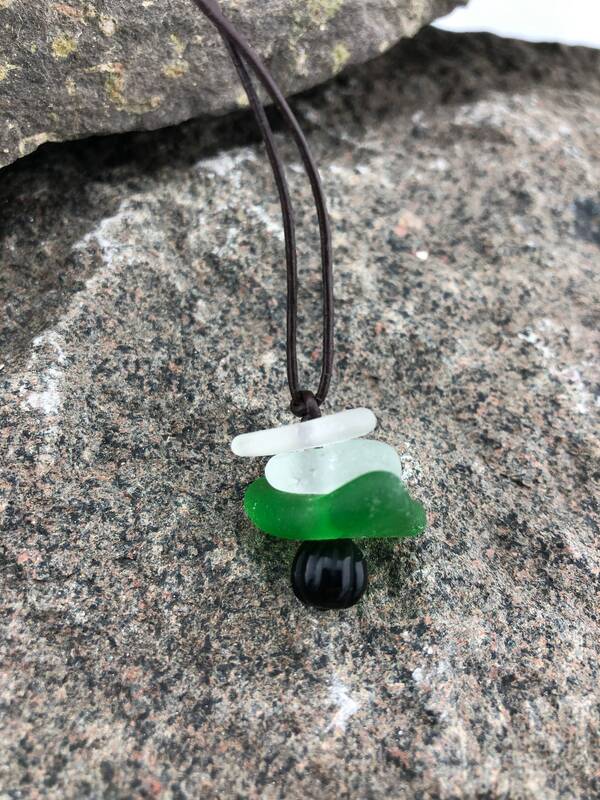 All of the beach glass used in this pendant were shaped by Mother Nature and remain in their natural, unfinished state. 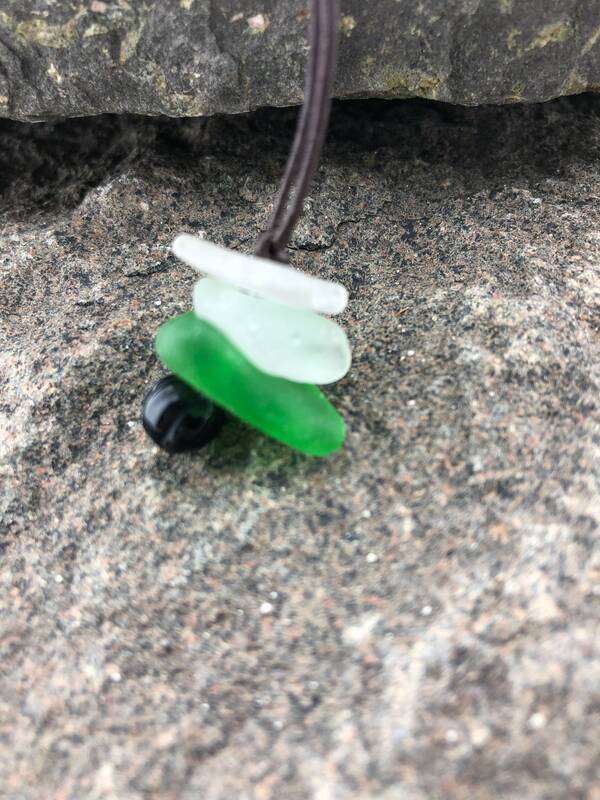 I have rubbed each piece of beach glass with a bit of coconut oil to bring out their inherent shine. 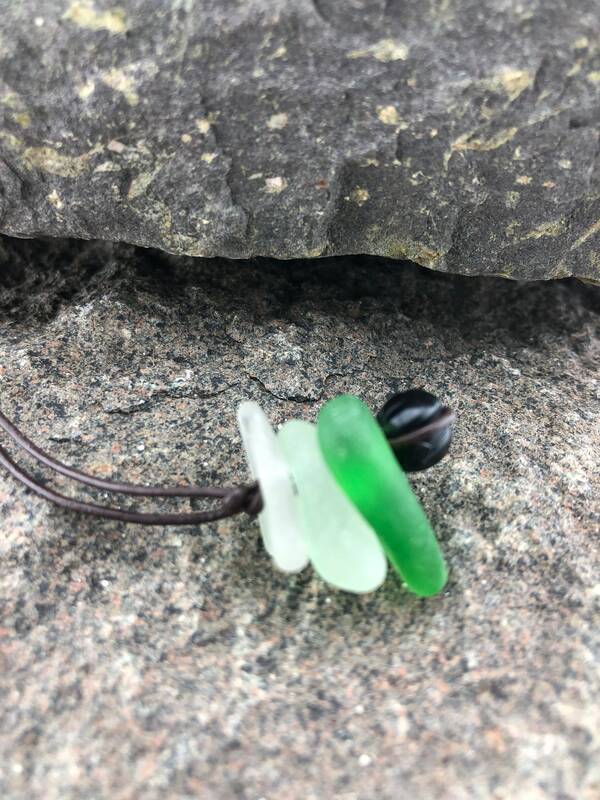 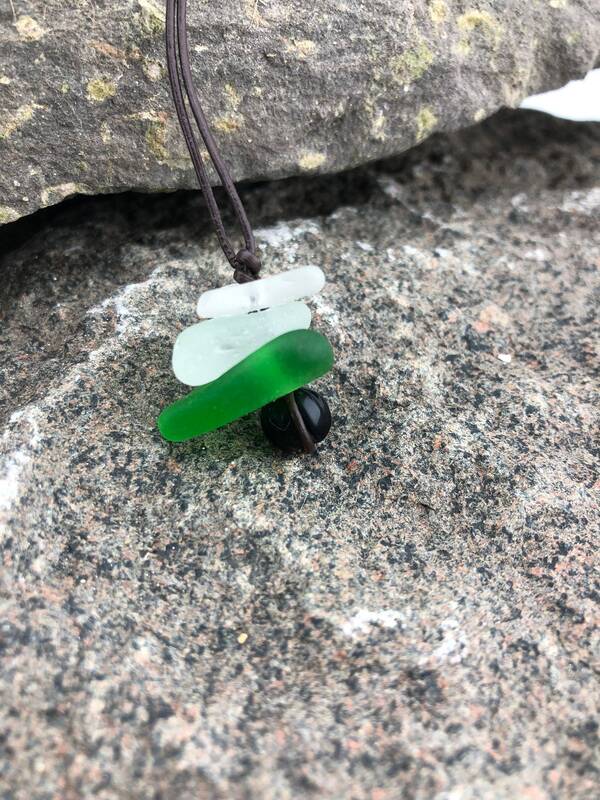 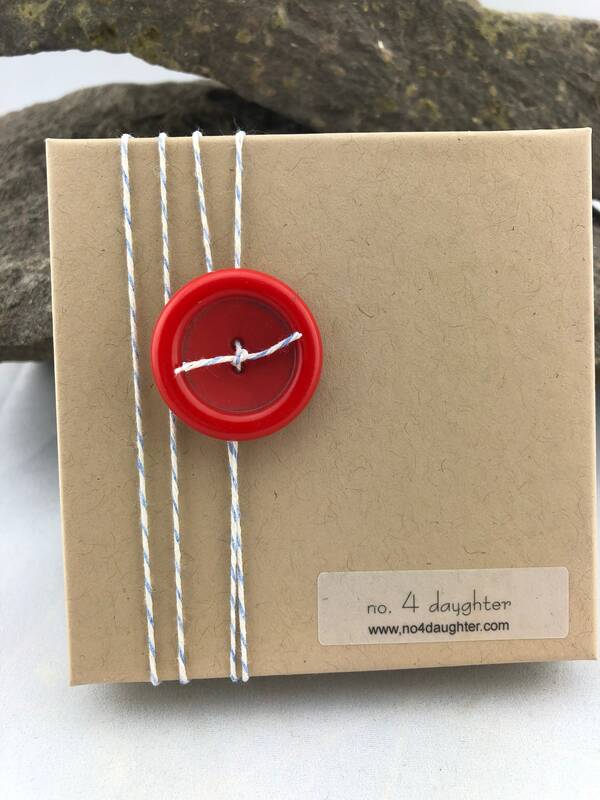 After carefully selecting and hand drilling the beach glass, the pieces are placed on an adjustable genuine leather cord. 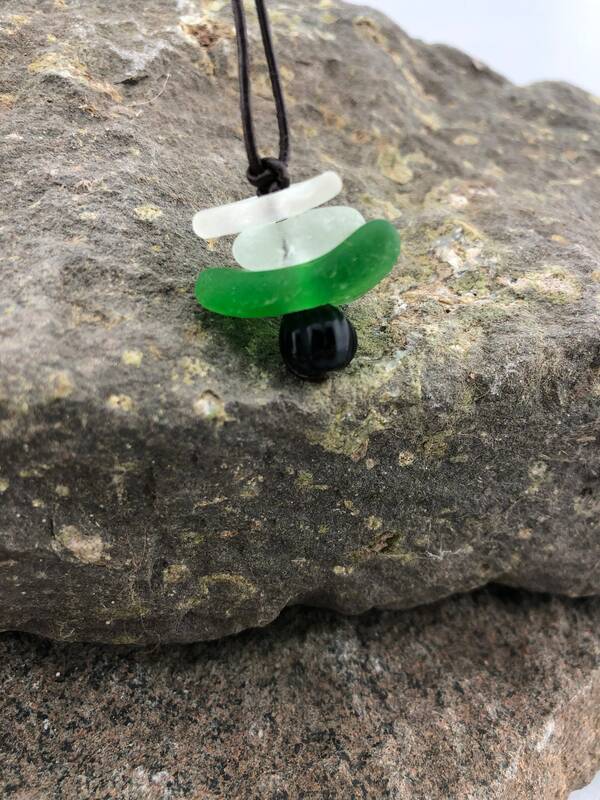 Two of the glass pieces are clear and the middle piece is green. 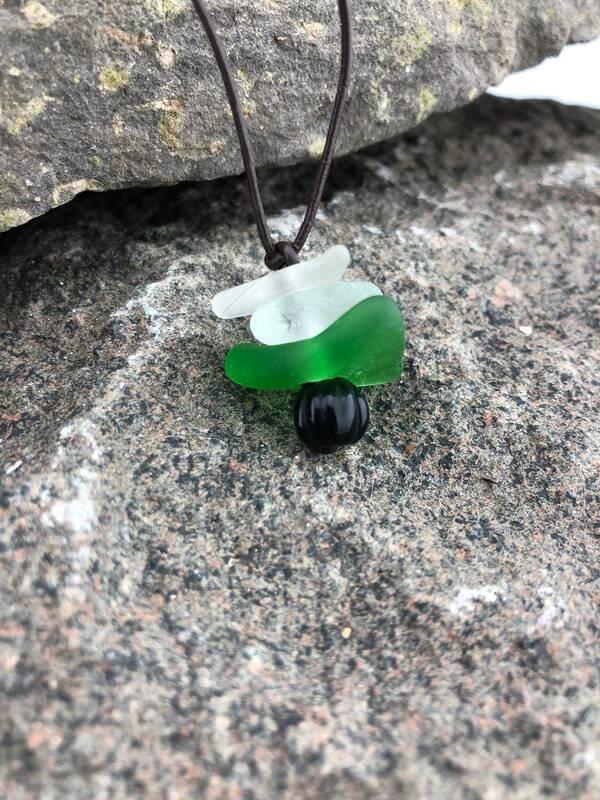 A round glass bead completes the pendant. 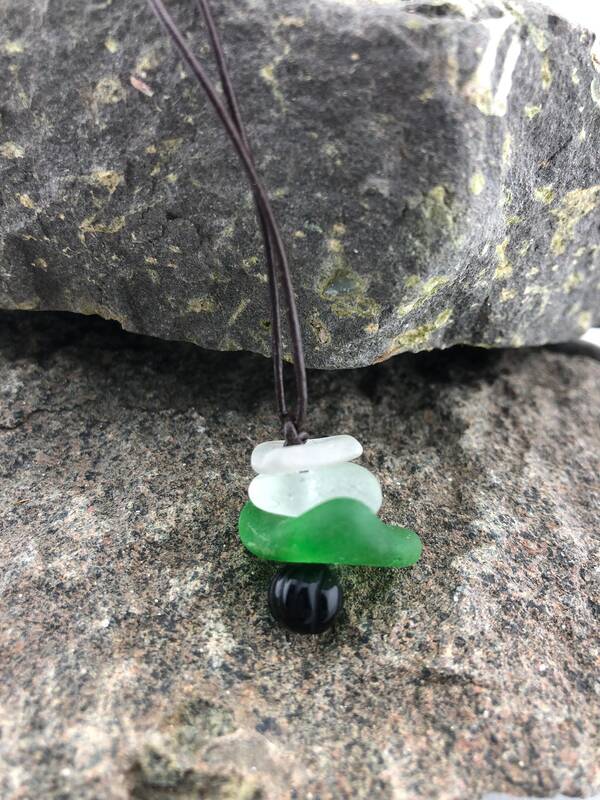 The cord measures 14.5 inches (measured from the back of the neck to the tip of the pendant) and features two sliding knots that will allow you to adjust the necklace to make it shorter.